God Is Closer Than You Think #4 – What Is The Bible? 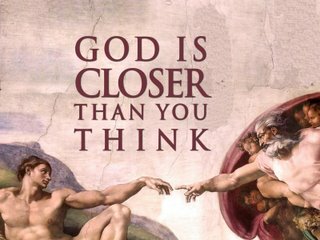 Our Topic: “God is closer than you think.” This is the title of our twelve week series on the basics of biblical doctrine, theology, what we can know about ourselves and God. This morning I have the privilege of addressing the topic: “What is the Bible?” And I am so glad to, because the Bible has transforming power. Scripture gives us wisdom, it reveals who God is, it reveals who you are, and it will transform you. Do you believe this? Gregg has taken us through “What is Man” and “What does God look like” and Jeff has taken the tough task of “what is the Trinity.” But how do we know the answers to these three sermons. Through Scripture, what God has revealed. Let’s ground our discussion of Scripture in a couple of verses. You, however, continue in the things you have learned and become convinced of, knowing from whom you have learned them, 15 and that from childhood you have known the sacred writings which are able to give you the wisdom that leads to salvation through faith which is in Christ Jesus. 16 All Scripture is inspired by God and profitable for teaching, for reproof, for correction, for training in righteousness; 17 so that the man of God may be adequate, equipped for every good work. Context: We have this morning and incredibly rich passage of Scripture before us to study. Verse 16 is perhaps one of my favorite verses in the New Testament. What we have before us is a letter from the Apostle Paul, the same guy who wrote Romans and Corinthians. This letter is unique in one major way, it is written to a specific person, Timothy. Most of Paul’s letters are written to churches, to a large group of people. But here we have a unique glimpse into the correspondence between Paul and his young disciple and student in ministry Timothy. It’s a personal letter, from one friend to another. And here in our text, at the beginning of verse 14, we see that Paul is contrasting Timothy to someone else, but as for you. From the beginning of chapter three Paul lays out those who are living a godless life, those who are opposing truth and wisdom and virtue, those who are corrupted in mind, heretics. And in verses 10-13, directly preceding our passage, Paul commends timothy for being steadfast in his life as a Christian. So in v. 14 here, when Paul says but as for you, we must read him as an example in contrast to those who were against the Gospel. It is here in our passage that Paul therefore instructs Timothy, his young disciple, how he can continue to live in accordance with Jesus. Purpose: And Paul instructs Timothy with one overriding point, really the whole purpose of this passage. 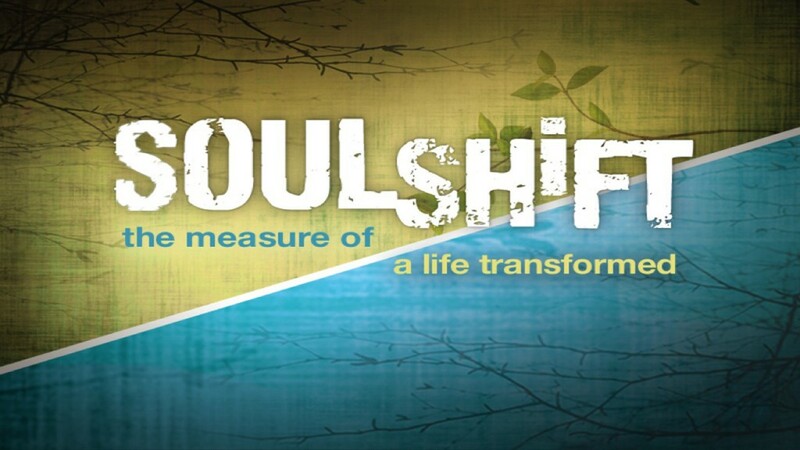 Timothy is to become a mature disciple, to grow in the faith he has been brought up in. And Paul says this is primarily done through the power of the Scriptures. And this is the purpose of the text to you and I this morning, we are to become mature disciples by trusting God’s Word. I mean this is the reason that you and I come to church right? We sit under people who preach the Gospel to us for a reason don’t we? We don’t just come to have our ears itched and to hear funny stories, we come to be transformed. I think if we really ask ourselves, “Am I satisfied with who I am?” Most of us would say “no,” I would say “no.” We long to be the person God wants us to be. We are never complacent with who we are. On my drive this morning to church, I passed a pond. This was a stagnant pond, it had no fresh water flowing into it and it had no water flowing out of it. It was covered in green algae and looked disgusting. If the pond had moving water, it would become clearer. The same is true for you and I. If we are not being transformed by the Gospel, by what Jesus has done for you and I, we begin to look a lot like a stagnant pond. Think about why you came to church this morning. For many of us I’m sure it was because “well it’s just what you do on Sunday, or my wife wanted me to come, or I wanted to see friends, or I have to preach.” Think about why you came. Church is a place to worship God together and it’s also a place to grow together. We come to church because we love Jesus and we want to be transformed to be like him. If this isn’t why you come, check your heart. Trusting in His Word: So Paul tells you and I that we grow and become mature disciples, we become more like Jesus, by trusting in His Word, in the Bible. Look at vv. 14-15. Paul instructs Timothy to become more mature by continuing to know the reality of the Gospel through Scripture. There are people, like his mother and Paul, who have instructed him as they themselves have been instructed by the Scriptures. So our call this morning, what we are primarily looking at, is the call to become mature disciples in Christ. What pictures in your mind do you associate with the word “maturity.” We think of an aged woman who simply exudes wisdom, we picture an old tree by the ocean that has withstood the trials of time, we think of a boy’s voice transitioning from really squeaky to deep, we think of composting and how it takes time for the soil to mature. I think the image of the tree is profound. The prophet Jeremiah uses an image of tree to talk about maturity, he says in Jeremiah 17:8. 1) Are the Scriptures Trustworthy? This last year I was diagnosed with a gluten intolerance. It has been a tough transition learning how to change my diet. It was frustrating to hear, but I trusted the doctor’s diagnosis. Why? Because the doctor has an authority that I don’t have. Years of schooling, years of diagnosing health issues like mine. She had an authority that I trusted. In the same way, the Scriptures have an authority that did not come from man, like my doctor’s diplomas for med school, but from God alone. Look at v. 16a. We see here that Scripture, the Bible, attests to its own authority as being literally breathed from God. If God is real and if God is good and loving and if God has spoken, has breathed out this word, it has authority that is unparalleled. If the God that the Scriptures describe has Himself made these words come into being, there is no greater authority. Do the Scriptures have authority in your life? If God spoke them, they are worthy of our trust. It is God’s revelation to you and me of just how much He loves us. The Gospel, the good news of what Jesus Christ has done for you and I, is contained within these pages. In them we see a God who became man, forsaking His Godly powers. 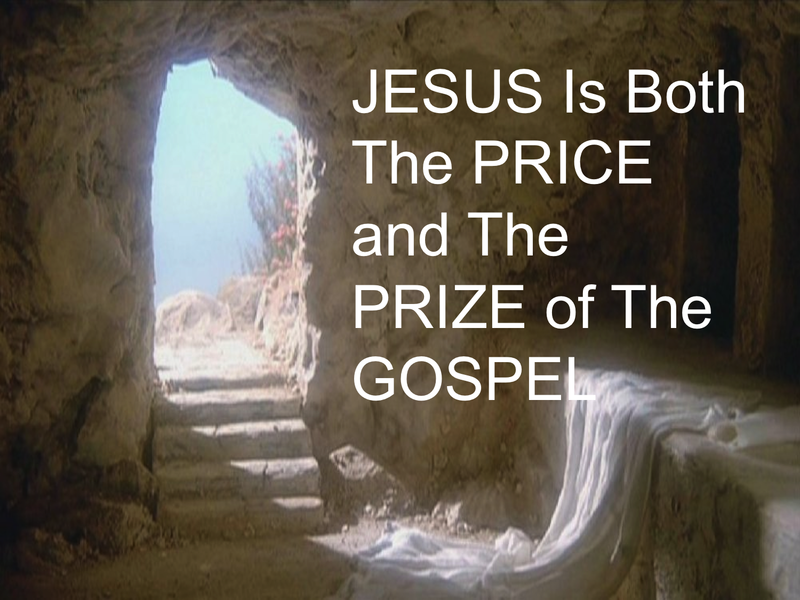 We see a God who in becoming man suffered and died for our sin, a God who loved us enough to die for us. It has authority not only because it is God breathed, but because of the character of God Himself. And because God’s words are authoritative, they have power. Power and authority are synonyms. One of the most powerful pictures in Scripture that illustrates the power of God’s words is found in the Gospel of John. In chapter 11: Lazarus come out! PAINT THE SCENE. God’s words have authority, they have power to simply create life, to do things! 2) Why Should I Trust the Scriptures? We have already answered this a bit, we laid a foundation with authority. But really, of what value is the Bible to me? We should always be asking this question, it prevents us from just reading the Bible out of routine. There is a purpose God has for His Word, and we should seek it. There are two reasons we should trust the Scriptures personally. First, we should trust them because they are necessary. The Bible is a necessary component in coming to love and know God. We cannot know God, as He has revealed Himself to us as a good, loving, gracious father, without seeing it in Scripture. Now don’t get me wrong, I believe in natural revelation. As a Christian when I see a sunrise or sunset, when I’m hiking with my wife, when I put my feet in the sand on the shore of the ocean, there are certain things that bring me to my knees in wonder and cry out “God made this!” There is a certain knowledge of God we can gain from the world around us, his beauty, his power. But we cannot know specific realities of who God is, or what he has done for us, apart from Scripture. It is necessary. And secondly, theologians say Scripture is sufficient. Sufficient for what? If Scripture is necessary to know what God has done for you in Jesus Christ, then Scripture is sufficient for bringing you on your knees in faith, to trust in Jesus. Scripture is sufficient for salvation. Look at v. 15b.. Scripture brings about the reality of salvation, God uses it to touch your heart and reveal to you your sin and great need of redemption. But not only is it sufficient to save you, Scripture is also sufficient to mature you as a disciple. Look at vv. 16b-17. We see Paul list a few things that Scripture does, it doesn’t just fall idly by, it does stuff! Here are a few things the Bible says that it does: the bible initiates faith (Rom 10:17), the bible gives new life (1 pet. 1:23), it helps us grow spiritually (1 pet. 2:2), it searches the heart and convicts (heb 4:12), it liberates you (john 8:31-32), it refreshes and renews (ps. 119:25) and it revives and enlightens (ps. 19:7). These are just a few things the Bible says it does. For us to trust Scripture we must know it. This one is kind of a no brainer right? We can’t put any trust in the authority, necessity and sufficiency of Scripture if we haven’t read any of it, right? It would be like trying to say something intelligent in class about a book you have never read. You have to read it first in order to know what it is talking about. Now do we need to have read the entire Bible cover to cover, no, but we need to have read enough of it to see what it is about. So in order to trust the Bible we must first know it. Secondly, we must believe it. Now I think this is the most crucial step in trusting the Bible. Without a faith, a deep seated belief in what God has done for you in Jesus Christ, the words in the Bible are simply that, words on a page. They have no life. They are black pigment on a piece of paper. Our faith ignites the words on the page, bringing them to life, bringing them to reality as something worthy of our belief. Jesus Christ taking your sin on the cross and giving you a new life is something worthy of believing. A vital part of trusting the Bible is believing that in it God is speaking truly to you so that you might be transformed, you might be mature. This makes me think of the greatest theologian this world has ever known, a man named Augustine. Augustine lived in North Africa. He was a womanizer and self-confessed perverse man. He sought the comfort of women, not God with his life. But slowly over time God began to chip away at his heart. He knew the Old and New Testaments, but they were just information, literature. One day Augustine was sitting in a garden in Milan, Italy. On the bench next to him was a bound letters of Paul. He opened it up and read the first verse his eyes came across, “not in wantonness and drunkenness…” As soon as he had read this verse, he believed. The Word of God had such power in that moment to transform Augustine and give him faith. The Bible is nothing more than a textbook without faith in Jesus. It is our faith that brings this book alive! The third thing trust involves obedience. Trusting your parents when they tell you not to touch the hot stove means that you obey them, otherwise your hand is blistered and your parents are asking you why you didn’t trust them. Football season started a few weeks ago, thank goodness! Next time you watch a football game, when they cut with the camera to the coaches, look at them. What is in their hands? They hold their guide to the plays their team has learned. Many QB’s have this guide in short form on their forearm. These are the plays they have practiced and learned, the plays the team knows. When Tom Brady calls blue 42, it means a certain play. And when the team knows what to do with this play, their chances of success are much greater. But what if the players don’t obey? The play often falls dead. It doesn’t work. Likewise, obedience is a key factor in trusting what is in Scripture with our faith. But we have to be careful whenever we talk about obedience. Obedience that doesn’t first stem from love is legalism. We are not for this. Instead we should view obedience as the overflow of our heart to love and know God. Love should drive any obedience. Conclusion: And Paul this morning wants you and I to be mature. He wants you to be continually transformed into the person God desires you to be. Maturity requires one thing from us this morning: response. Maturity beckons response. A mature person is someone who takes responsibility for their actions. And our call to be mature is grounded in our action, a call to respond to what God has done for you in Jesus Christ. Paul here specifically says that if you want to be mature, if you want to be the person God longs for you to be, trusting Scripture is essential. Some of us need to know Scripture in order to respond to it. Some of us need to believe in what God has written for us to respond. And some of us need to simply be obedient to Scripture. Which person are you? Do you have trouble knowing what’s in the Bible? Do you have trouble believing it? Do you have trouble obeying it? I would guess we would say “JT, I have trouble with all three.” Me too. Trusting this book is difficult. But when we realize that God wants us to know Him, that He died for us to be able to know Him, it gives us a strength to grab hold of this book and love Him. Every time we read this text we are saying, “I love you God and I want to know you as you know me.” And isn’t it true that the more we love someone, the more we want to make them happy? The more I have loved my wife, the more I have realized what makes her happy and the more I want to do those things for her. And so we become mature by responding. We read the Bible not because we are supposed to, but because we love Him and want to be the person he wants us to be, mature, just like Paul wanted Timothy to be mature. Our love of God beckons a response. I would encourage us all this morning to think deeply on our love of God. Do you love God? Do you want to grow in your relationship with Him? Then take this book and never let go. Love the Word of God and He will transform you into the person He and you long to be. “So what does this mean for how I live this week JT?” Maybe this week as you are at work, you take 5 or 10 minutes over your lunch break and you decide to work through an entire book of the bible. Maybe you choose the letter of James in the New Testament. Maybe you wake up 15 minutes earlier and spend some time reading and praying over it. Maybe when you are at school with a break you pull out your Bible and ask God to transform you, to make you a mature disciple. Maybe you think about reading through the Bible in a year, there are many great plans out there to do that. I’m doing it right now…though I’m definitely failing. If you and I do not see the value, but even more, if we don’t feel a burden of love to read the Bible, I have failed this morning. My prayer is that God would awaken you and me to a love for his Word. We must love Him in order to truly love and trust His word. Long to be mature disciples. Long to love God. And long to trust the Bible so that God may transform you into who you long to be.